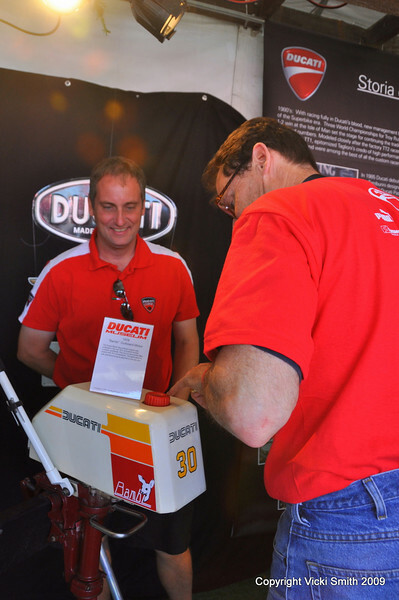 Rich Lambrechts and Dan Bockmier admire the Ducati Bambi outboard motor. Rich and I were the museum "curators" and all the small items on display came from our collection. It was really fun seeing the reaction to the display since almost everybody saw at least one thing they didn't know about.